"Mary Magdalene has haunted the Catholic Church and the popular imagination for two millenia." Image: Transmission Films. Imagine a story in which Mary Magdalene is not just an apostle, but the most unswerving and faithful disciple of them all, in which she is a protofeminist and the central protagonist, with Jesus a peripheral character. This premise, promised by the new film by Australian director Garth Davis, should make for a riveting, radical tale. 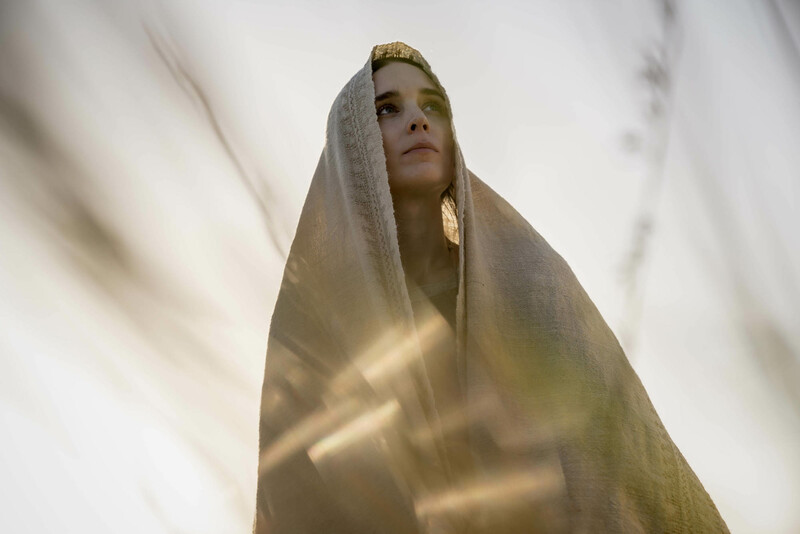 After all, Mary Magdalene has haunted the Catholic Church and the popular imagination for two millenia, cast variously as an outsider, a prostitute, and a sinner. From these many myths, Mary Magdalene the film aims to create a new character altogether. With the feminist zeitgeist of the present Garth Davis’ film has a paradox at its centre, but it’s not that of Mary in her multiplicity: in his Magdalene tale, timed for an Easter release, we see a film about spirituality, entirely lacking in spirituality. Mary leaves her family to follow him, and the film’s remainder traces their journey to Jerusalem with his other apostles, including a wary Peter (Chiwetel Ejiofor), who believes that Mary will divide their little community. She becomes Jesus’ most closely-held apostle and his witness – baptising new adherents with a smile, speaking to oppressed women who cross their path, blessing the dying. 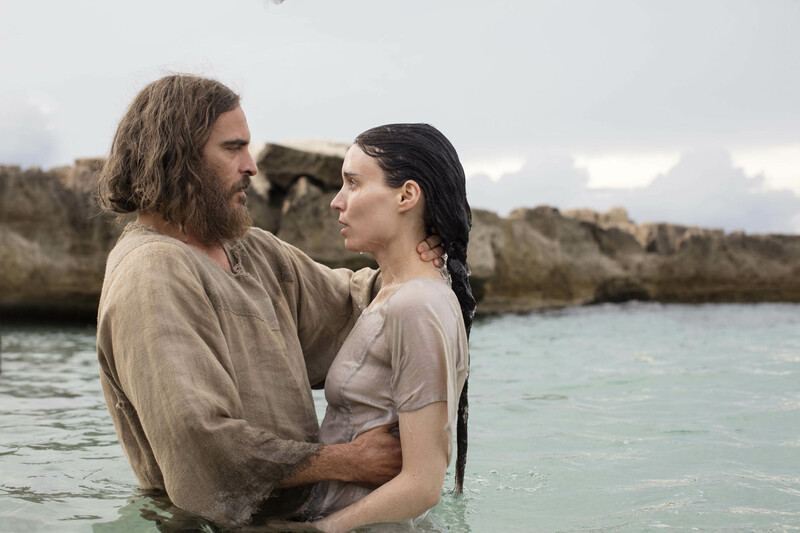 Joaquin Phoenix as Jesus and Rooney Mara as Mary Magdalene. Image: Transmission Films. The happy Hollywood redemptive arc of Davis’ debut film, Lion, earned it six Oscar nominations and a huge box office haul this time last year. His new project has the same film industry heft behind it: Australian producers Emile Sherman and Iain Canning, the backing of the Weinstein Company, the A-listers and marketing budget that will push it toward viewers who want serious, grown-up drama. Rather than striving for a grand biblical epic, Davis moves the mythical into the everyday, working within the acceptable template of a prestige arthouse film. But in downgrading Mary from visionary to everywoman, Davis has created what he calls a “relatable” tale – with almost no discernable viewpoint at all. The confusion begins with the marketing material, which speaks of Mary in distinctly Eat Pray Love terms as a young woman “in search of a new way of living”. “Her story will be told,” decrees the poster blandly. The film’s website offers a discussion guide for teaching and religious purposes. In this effort to please all demographics – feminists, the faith-based audiences (fans of the recent Risen and Miracles from Heaven), the education market – every possibly daring angle on the Mary myth diluted noncommittally. Once established, the premise of UK screenwriters Philippa Goslett and Helen Edmundson’s script is undeveloped. The problem with the film’s “humanist” approach is that it’s too… human-scaled. The result is a film made without magic or sublimity, in which reverence is replaced by diligence. Nor is Mary or Jesus’ radical spirit expressed in the film’s visual language. Actors tend to be plunked in the centre, or slightly off-centre, of the frame, shot in close-up or medium-shot, with little dynamic movement of either characters or camera. Shot, reverse shot, goes the relentless pattern. We never see what either Mary or Jesus see – no mystical encounters with God, no point-of-view shots from their eyes, nothing of the spiritual rapture contained within the extreme, angled close-ups of Carl Theodor Dreyer’s classic film of another religiously scorned woman, The Passion of Joan of Arc. Without access to Mary’s internal revelations, her motivations and her bond to Jesus are shrouded. Even Mara and Phoenix – two of the most interesting and intuitive actors of their generations – produce earnest but colourless performances, following the broad-brushstrokes script. There’s no doubt, no battle between flesh and spirit within Mary or Jesus, and without much conflict originating from the characters themselves, their arcs freeze and the dramatic stakes drop away. Martin Scorsese, a lifelong Catholic and the director of The Last Temptation Of Christ, imagined a scenario in which Jesus, tormented by the burden of being the son of God, envisioned a smaller, quieter life of marriage to Mary. Scorcese’s vision of the crucifixion is almost maniacal: sped-up tracking shots leads us right up to Jesus’ face, a howling crowd of onlookers rages and mourn, and when Jesus finally closes his eyes in slow-motion, he’s consumed with the vivid, burning lights of a hallucination. I’m not religious, but as a viewer, I want to feel what believers feel – some sense of transcendence and transportation. That’s one reason we all go to films, I think. Did Mary and Jesus feel God’s presence in the hills around them, in the air, the rocks, the trees of their Holy Land? It’s not evident from this film. One fleeting moment appears like an apparition of a more adventurous, parallel-universe film. After Jesus brings life and breath back to a dead man, Mary and Jesus sleep on the ground beside one another. She gazes up to the openness above her, her face luminous and just off the screen’s centre, and we fade onto the full white moon against an azure sky, zooming in until it fills our vision. It’s a strange, associative moment of montage editing, bringing Mary and her evolving spirituality into wonder with the world around her. Mary was sainted, belatedly, after millenia of victimisation and erasure, in 2016. A revisionist, maybe even heretical vision of her story may still be called for, but it’s not here. Andrei Konchalovsky has one of the most varied careers of any director alive, launching his career in a partnership with Tarkovsky, working in Hollywood with Sylvester Stallone, then returning home to make a film about “the charm of evil”. 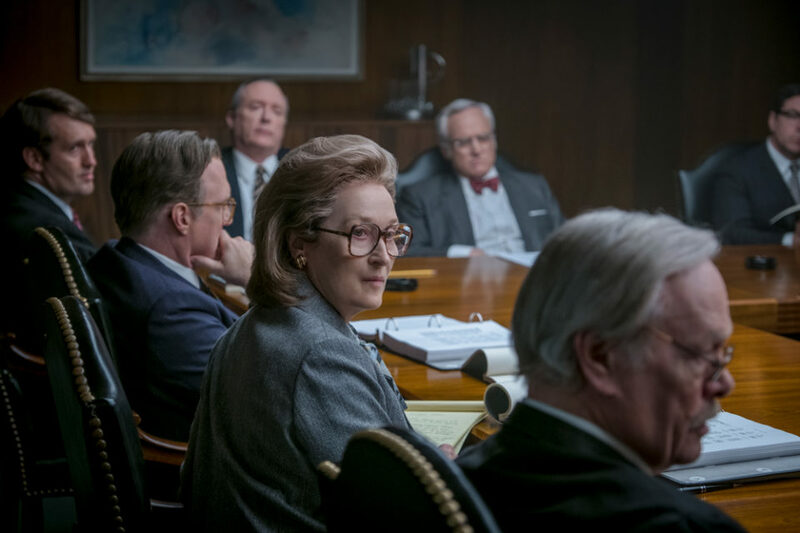 Steven Spielberg’s film summons up an era when journalism was still ‘the first rough draft of history’. More than a desire to upend conventional practice, director Steven Soderbergh seems motivated by wanting to do everything himself, and at speed. ‘Unsane’, his latest film, was shot in 10 days on iPhones.